This is a fantastic use for leftover roast turkey. Although it's worth making from fresh turkey thighs anytime. 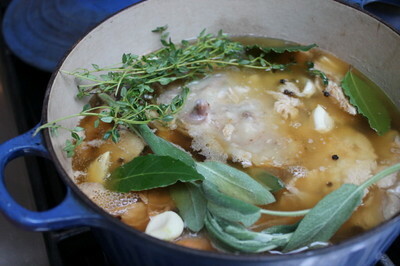 The thighs are the best bit of the bird - full of flavour, suited to slow cooking and not expensive if bought separately. You could also use smoked turkey instead.